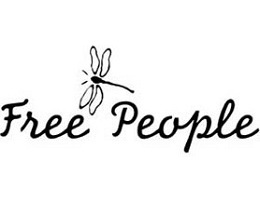 Free People is an American apparel and lifestyle company with bohemian influences. It is part of the Urban Outfitter Inc. and has managed to create its own distinct style. The wide array of options, including jeans and shirts, offer a retro style with modern influences. With Big Apple Buddy’s personal shopping service, you can now buy direct from the Free People online store anytime, anywhere. Kick it back to the '90s with Free People's 3x1 Bell Embroidered Jean! This fun throwback inspired apparel is unique with colorful flower designs at the bottom. It makes it ideal to combine with other patterns and styles as you look to complete your outfit. These authentic jeans display the best of Free People's signature brand and is a comfortable fit with a zip fly and button closure. Steal all the looks with Free People's Kyra Dress! This 100% silk dress is smooth to the touch and flows seamlessly on your body. The intricate design features bead sequin embellishments that make it such a unique style and one of the most popular of the collection. It's a fun yet elegant dress with plunging V-neckline and open back, ideal for the summertime, and sure to complete your outfit with a bang. Looking for the best of both worlds? The Rumania Romper of the Free People collection combines elegant and casual perfectly for a classic bohemian look that is comfortable to wear. The gown-like flow offers a unique twist to the jumpsuit while the off-white color gives it a more modern look. With an unconventional style, this romper is sure to get the attention of others and make you feel like one of a kind. Unfortunately, the USA Free People online store does not currently offer international shipping. However, Big Apple Buddy, your personal shopper, can help you buy products direct from the official USA Free People online store and ship them to your doorstep, no matter where you are in the world. We offer international shipping to over 190 countries including Australia, Austria, Bahrain, Belgium, Bosnia & Herzegovnia, Brazil, Brunei, Canada, China, Croatia, Cyprus, Denmark, Estonia, Finland, France, Germany, Hong Kong, Hungary, India, Indonesia, Ireland, Israel, Italy, Japan, Kenya, Kuwait, Lithuania, Macau, Malaysia, Maldives, Mexico, Namibia, Netherlands, New Zealand, Norway, Oman, Pakistan, Portugal, Saudi Arabia, Scotland, Serbia, Singapore, Slovenia, South Africa, South Korea, Spain, Sri Lanka, Sweden, Switzerland, Taiwan, Tanzania, Thailand, UAE, UK and Ukraine. If you would like to buy from the USA Free People online store, simply let us know which items you would like to order (by filling out the form on the right) and we’ll get back to you with a free international shipping quote within 24 hours!